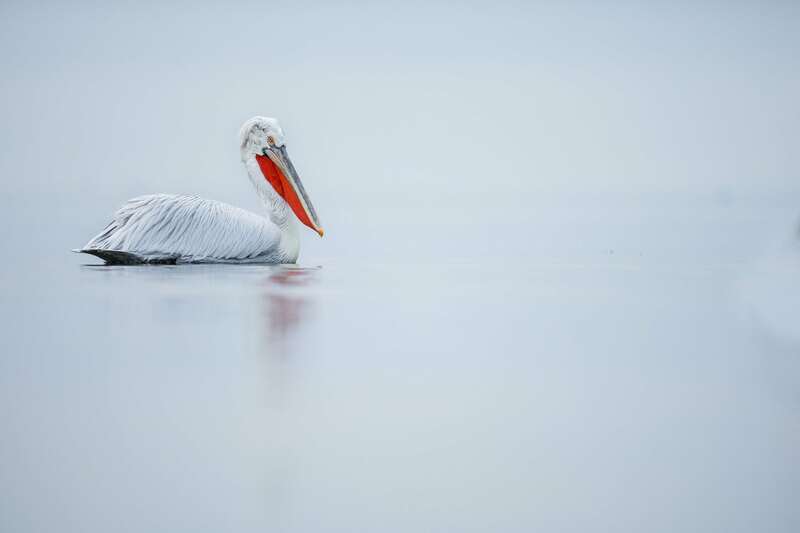 Join Annette, in Kerkini during January 2019 for 4 nights; & photograph the population of the impressive Dalmatian Pelican as they thrive in their picturesque natural habitat. Lake Kerkini has stunning snowcapped mountains to the northern edges providing the perfect photographic backdrop. Sorry, all the available places for this photography holiday, Dalmatian Pelicans of Kerkini, have already been reserved; however, in 2020, these trips will run again, so there is another chance to join Annette, for a Dalmatian Pelican Photography Holiday on the shores of Lake Kerkini in Greece. 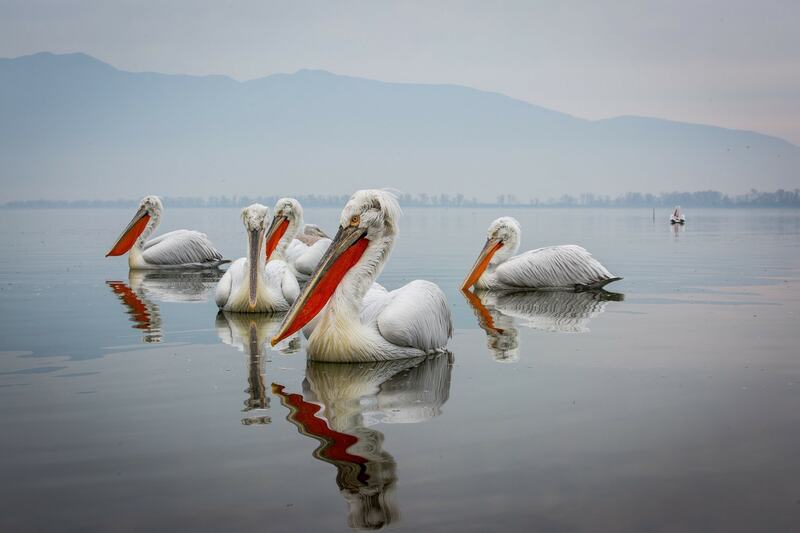 NaturesLens offer keen wildlife photographers the opportunity to capture images of the striking Dalmatian Pelican in their winter plumage, as they thrive in their beautiful natural habitat; Lake Kerkini in northern Greece. For the past 5 years, NaturesLens has led photography holidays to Kerkini; our tour is designed to be an all-inclusive photography experience; we ensure that internal travel, food & cosy accommodation is organised for you to ensure that you can focus on making the most of opportunities to capture editorial quality images. Our trips fill up quickly so book your place now to avoid missing out! Join NaturesLens to capture images of Dalmatian Pelican, in Greece, during the Dalmatian Pelicans of Kerkini photography holiday. This photography holiday is of 4 night/5 day duration on a Full Board, Non-Shared basis & costs £1099 per participant. Join Annette for a special wildlife experience, getting up close & personal with the beautiful prehistoric bird that is the Dalmatian Pelican; capturing them on camera within their natural habitat of beautiful Lake Kerkini in northern Greece. This trip includes three full days getting to know this stunning landscape, offering boundless opportunities to photograph these amazing birds, as well as neighbouring wildlife such as the Pygmy Cormorant & the majestic Greater Flamingo. The Dalmatian Pelican is, by a small margin, the largest of the Pelican species, as well as one of the largest living bird species on earth. These magnificent birds have been in decline in recent years, partly due to habitat destruction on the part of man, but thankfully the population at Kerkini has endured & still thrives within this perfect haven. Highlights of the trip include three boat trips on to the lake on consecutive days, three shoreline feeds offering you the chance to get up close to these magnificent birds & witness their feeding behaviours, & cosy accommodation in a nearby hotel as an oasis from the harsh winter conditions. All the details are taken care of for you so that you can relax & enjoy this unique wildlife photography adventure. One of our photography guides, Annette, will lead you throughout this photography holiday, providing guidance as needed & helping you develop your skills. They will help you to capture images of these birds in wide & close up shots; in movement, while feeding & fighting for fish; interacting with each other or in flight with the impressive backdrop provided by the lake & surrounding snow-capped mountains. Group size is strictly limited to allow for the best experience for everyone involved, & as this photography is seasonal, we can only offer this trip to a small number of lucky individuals each year. Book early to avoid disappointment! Thank you for all your hard work; you guys are doing an amazing job. Sorry, all the available places for this photography holiday, Dalmatian Pelicans of Kerkini, have already been reserved; however, if you would like to be placed on a waiting list in case of any cancellations or to be notified should we decide to run another of these trips, please fill in the form below. & takes place in Kerkini in Greece, between the dates of 10th - 14th January 2019. It is ideal for photographing cormorant, dalmatian pelican, flamingo & more. This photography holiday is led by Annette Webersinke for NaturesLens. The photography holiday is offered on a Full Board, Non-Shared basis. Group size for this photography holiday is a minimum of 7 participants & a maximum of 7, plus Annette. We consider this to be an event of Easy level of exertion, if you have any questions about your suitability for this event, please contact us prior to making a booking enquiry. The photography holiday starts & ends at Thessaloniki Airport. Transfers between Thessaloniki Airport & Kerkini are included in the cost of this photography holiday, this photography holiday requires a deposit of £210 to secure a place. Final balance payment due: October 10th, 2018*. Bookings made after this date will require the full payment to secure a place. Bookings close: November 10th, 2018.